Formed in NYC in the mid-'70s by David Byrne, Chris Franz, Tina Weymouth, and ex-Modern Lover Jerry Harrison, the Talking Heads evolved out of their now-legendary humble beginnings at CBGB's to become one of the most adventurous and influential bands ever. Inducted into the Rock and Roll Hall of Fame in 2002, the Heads' visionary, polyrhythmic sound daringly combined funk and punk, African beats, avant-garde minimalism, and pure pop. From their 1977 debut through their Brian Eno-produced classics to their '88 farewell, Naked, they both pushed artistic boundaries and delivered indelible radio hits like "Once In A Lifetime" and "Burning Down The House." 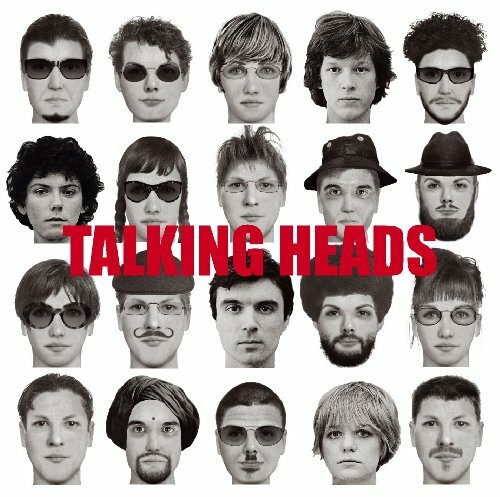 If you have any questions about this product by TALKING HEADS, contact us by completing and submitting the form below. If you are looking for a specif part number, please include it with your message.